I don't often go to Italian restaurants, for reasons I've previously expressed. Put in less vulgar terms: it's not so easy to find it done much better than I can do it at home. So when I do go out for Italian, I go to a place like Proof Pizza & Pasta. The modest name belies the seriousness of the cooking here. 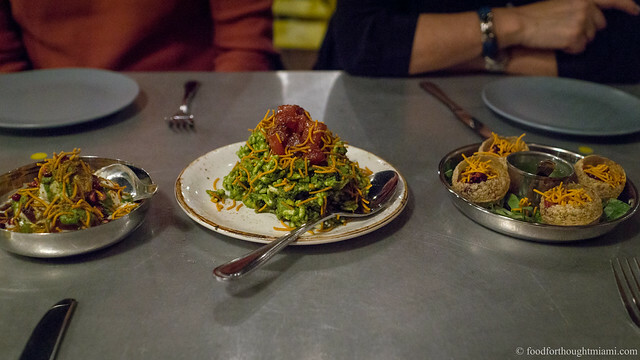 The pizzas are very good, but the pastas are easily some of the best in town, rivaled only by Macchialina and perhaps Scarpetta (where I haven't been since Nina Compton left). Case in point: their angel hair with crab. Angel hair is usually the most insipid and pointless of pastas, but here the noodles still have a substantial texture despite their diminutive width, making them an ideal vehicle for the sweet crabmeat. It all swims in an intense crustacean sauce somewhere between broth and bisque, with some Calabrian chiles for some zing, and lemon breadcrumbs for brightness and texture. It was the best thing I ate last week. 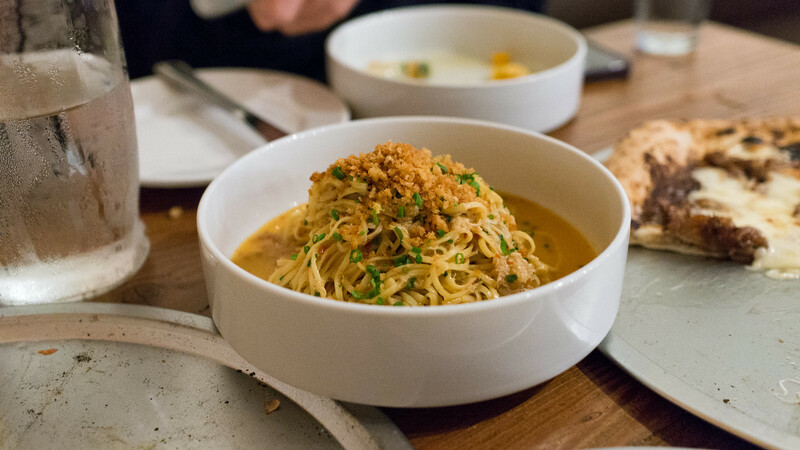 All the pastas at Proof are pretty consistently excellent, but I'd also suggest you not sleep on the bucatini with uni and roasted cauliflower, which was a new addition to the menu on my last visit. (That picture is from about a year ago, though the dish remains the same; you can see all my pictures in this Proof Pizza & Pasta - Miami flickr set). Runners up: this excellent house-made charcuterie board at Edge Steak and Bar in Brickell; this cured and oil-poached local tuna and kimchi reuben from Josh's Deli.